"I recorded a video with my camera phone in portrait mode (vertically) and when I try to play it on my computer, it plays sideways. Is there any software to rotate video so I can view it with the proper orientation." Have you ever recorded videos with your video camera on the cell phone only to find the footages are sideways or upside down when playing them on Mac or PC. A recorded video orientated incorrectly is not rarely seen, especially with the smartphones getting increasingly popular. Fortunately, a simple guide on how to rotate a video is shared in this article. Just follow the couple of easy ways below to rotate and spin video to save your neck from kinking or twisting. Though videos come with wrong orientation is quite annoying, to rotate videos to vertical orientation or horizonal direction is actually the basic feature of a video rotating software. In consideration of the functionality, easiness and efficiency, here MacX Video Converter Pro comes in the first in our video rotation software suggestion list. This software can rotate 90 degreees, 180 degrees or 270 degrees and support video in whatever format, be it MP4 (MPEG-4), MOV, H264, H265/HEVC, AVI, 3GP, WMV, MPEG, FLV, HD video, and many more. With this video editor, you are allowed to flip the orientation of a video clockwise or counterclockwise in just one click. As a plus, it also lets you trim video (freely set Start Time/End Time), crop video ( remove unwanted black bars from video), add external subtitles or watermark to video, change video aspect ratio 4:3 to 16:9 or vice versa, adjust frame rate, bit rate, etc. Well, its primary function is to convert videos among SD and HD videos with 180+ video and 14+ audio formats supported. Step 1: Free download this top video rotator on Windows PC. Launch it and click "Add File" to load the video files you want to rotate. Step 2: Select the output format you desire. Click edit on the interface to enter into the video rotation window. Here you can rotate MP4 MKV MOV AVI FLV H265 any video 90 degrees, 180 degrees and 270 degrees as you need. Also you are allowed to adjust other video parameters including Resolution, Bite Rate, Frame rate etc or cut the unwanted black bars to reduce the size of video file. Note: If you want to convert your videos to other formats, for example the HD cameras generated AVCHD or MKV to MP4, MOV, AVI, FLV and other video formats, or directly to your mobile devices like iPhone, iPad, Android etc, this video rotator can also lend a hand to convert the rotated video to any desired format and portable device. Step 4: Hit the "RUN" button to start rotating a video. Apple's innate video editing software, iMovie, also serves as a good software for rotating video. It can get video rotated and customed in almost every common format, sans 3GP, and comes bundled with every Mac so no additional software will be needed. Sure you may have thought about Final Cut Pro, but compared with iMovie, the former is better suited for professional applications and may make it hard for everyday user to pick up and learn how to rotate a video within minutes. VLC Media Player, a free and open source cross-platform multimedia player, does far more than just playing videos. In addition to the video converting and streaming ability, VLC Media Player comes with an amazing video rotation feature. You can not only rotate and save a video by 90 degrees, 180 degrees and 270 degrees clockwisely, but also spin videos to any angles you want like 1 degree or 10 degrees. You will be surprised by the interesting VLC rotate video ability. If the video is recorded on your phone or tablet, then you can just rotate a recorded video on your device. You however will need specific apps if your phone unfortunately has no built-in helper. Just go to your app store and search for "rotate video", various video editors can be found. However, in case you record your video with a HD camera or the like, you will have to first of all convert the video to Android, iPhone, iPad etc with a proper video converter if the video is not in a compatible format. 1. Handbrake is quite useful and common in case the video is not properly recorded by cameras or smartphones. 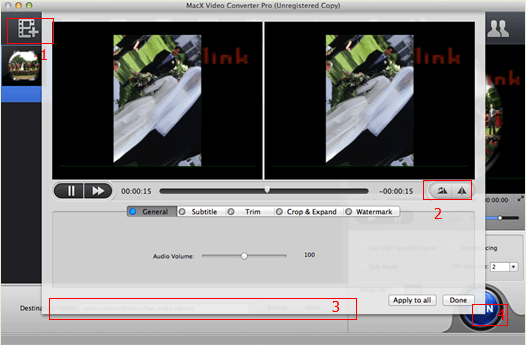 To correct the video to the right angle, users can also rely on Handbrake to do the task. 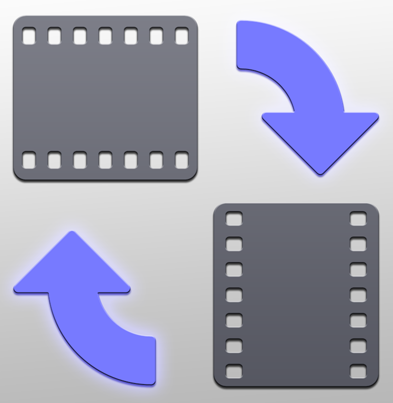 seek for ways about how to rotate videos with Handbrake. 2. To watch the video in a certain angle or add some specific effects to the film, for example if the screen is placed not in the normal way like vertically for example, users need to correct the video orientation. No matter to rotate iPhone video of recorded MP4/MOV or downloaded video 90 degrees or 180 degrees , you can always have multiple choices here, using app or software to rotate your footages on PC/Mac or website to rotate iPhone 7/6s/6/SE videos online without losing quality. MacX Video Converter Pro is a feature-rich, high quality, and incredibly fast video rotator and converter. It can rotate video in any direction: go 90, 180, or 270 degrees clockwise or anticlockwise. Also a wonderful video converter & downloader for PC/Mac.